Alter The Press! 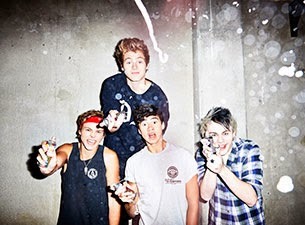 : 5 Seconds Of Summer Announce New Single "Don't Stop"
5 Seconds Of Summer Announce New Single "Don't Stop"
5 Seconds Of Summer have revealed they will release a new song titled "Don't Stop" as their next single. You can watch a video of the Australian quartet announcing the news below. Dates for 5 Seconds Of Summer's upcoming North American tour with One Direction can be found here.